One of hockey's top young centres has long been the centre of attention, a player that wants nothing more than to help put his team on the playoff map. The hockey world certainly knew who John Tavares was years before his name was called as the first overall selection in the 2009 NHL Entry Draft. And now, after two seasons of big-league experience, the emerging star is on a mission of sorts: netting the New York Islanders a spot in the top eight of the Eastern Conference. Fifty three goals and 121 points in his two NHL campaigns has translated into a successful start for Tavares, but not for the Islanders, who last made the playoffs in 2006-07, when they were ousted in five games in the conference quarter-finals to the Buffalo Sabres. Last season yielded 30 wins and a fifth-place finish in the Atlantic Division, the fourth consecutive year the Isles have landed in that position. But with a solid corps of young players and a strong veteran presence, the Isles pursuit of a post-season berth isn't exactly an elusive goal heading into 2011-12. There are certainly no doubting Tavares' intentions. All signs point to Tavares being well on his way to achieving the game plan he's mapped out. His teammates definitely see what Tavares brings and what he is capable of. While his own expectations continue to grow, Tavares is hoping any individual success translates into team triumphs. 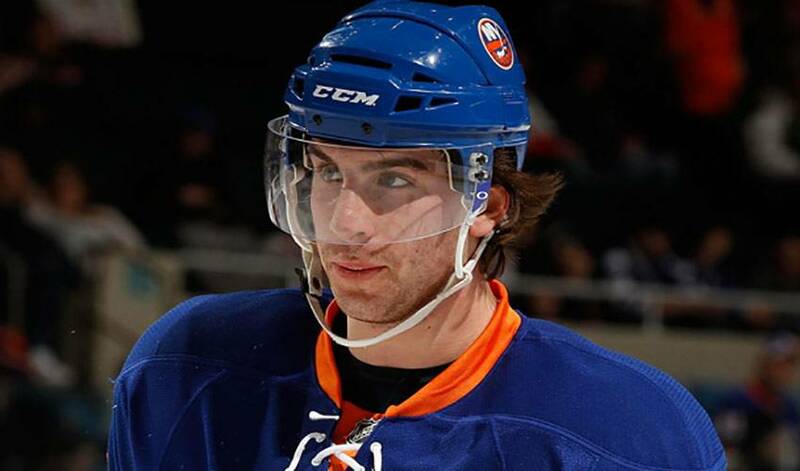 Having a strong bond with the Islanders' fans is also something Tavares cherishes. Something he's done time and again in his short NHL career and also on the international stage while playing with Team Canada. Tavares won back-to-back gold medals for his country 2008 and 2009 IIHF World Junior Tournaments, and was also selected as a tournament All-Star, as well as Top Forward and MVP of the 2009 event. Now, he'll look to bring some of that success to a team eager to rekindle their storied past.